First in method for Zoe. Another first for Let's Ring! 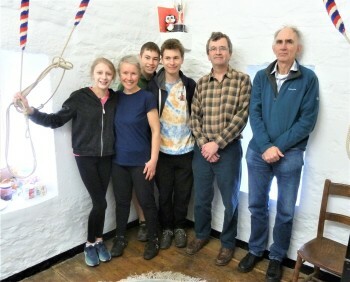 The merry band, in ringing order. Hurrah! Last updated Monday, 26 November 2018 at 06:59:07. First submitted Friday, 6 April 2018 at 17:08:34 by Alistair White-Horne.